Head Wines is an open journey of learning. Know from whence you came. If you know whence you came, there are absolutely no limitations to where you can go. 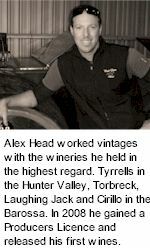 Graduating from Sydney University in 1997 with a degree in Biochemistry, Alex entered the Wine Industry. After a trip through the major wine-growing vineyards of Europe, he immediately started working in fine-wine management, wholesale importing and an auction house to gain a broad understanding of the world of fine wine. 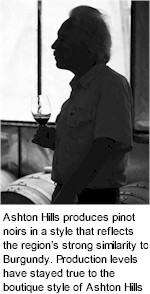 He then worked vintages with the wineries he held in the highest regard. Tyrrells in the Hunter, Torbreck, Laughing Jack and Cirillo Estate in the Barossa Valley followed and in December of 2008 he gained a Producers Licence and released his first wines to the public. Established by two enterprising Scots, George Sutherland Smith and John Banks, the castle was built in the 1880s, based on the design of The Castle of May, complete with turrets and tower. The castle is classified by the Historic Buildings Council, along with two other Estate buildings, the former bottling hall, cellar and Chinese Dormitory. The former bottling hall and cellar now houses The Indigo Cheese Co. and the Chinese Dormitory. Built over a hundred years ago, it is the last remaining example of its type. Amherst is a town rich in history. It is accredited with the first official gold find in Victoria in 1851 setting off a gold rush stretching all over central Victoria. Although much of the architecture constructed during the gold rush days was destroyed by bush fires, there are still many examples of some of the original buildings at nearby Talbot, just 4km away. The origins of Angove's as a company have more to do with satisfying a way of life rather than a determination to establish a wine and brandy producing business. 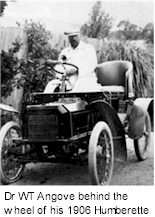 Dr. William Angove, an accomplished general practitioner and surgeon with his wife and young family, emigrated from Cornwall in 1886 to establish a medical practice in South Australia. 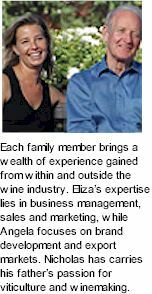 His early experimentation with vines, winemaking and distilling, led to the establishment of a proud family business. 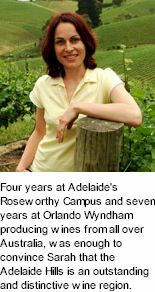 Dr. Angove's initial plantings at the township of Tea Tree Gully in the Adelaide foothills were the forerunner of one of the largest vineyards in the southern hemisphere - the magnificent Nanya Vineyard at Renmark in South Australia's Riverland. Angus the Bull was a simple idea that just wouldn't go away. It soon became an obsession and then when it reached the point where it occupied all his waking moments, Hamish MacGowan finally decided 'enough was enough' and in 2003 established the Aberdeen Wine Company to turn his unique concept into a reality. With all his energy now focused entirely on creating a new brand positioned to provide the ideal vinous accompaniment to prime beef, he chose to work exclusively with his favourite variety, Cabernet Sauvignon and set about locating the most promising parcels from across Victoria and South Australia. Confident he had achieved the required wine style and developed a very deliberate marketing strategy backed up with some smart packaging, Hamish launched his debut 2002 vintage, and hasn't looked back since. For more two decades, the House of Arras have been identifying and developing the ideal vineyard sites for world class sparkling wines. 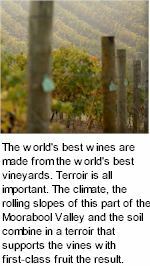 This journey has led the House of Arras to call the ancient soils and cold climate of Tasmania home. The cold climate, pristine environment and ancient soils are perfect for crafting world class sparkling wine. 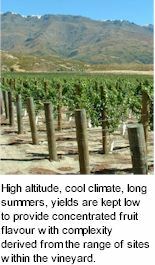 Tasmania's climate is significantly cooler than the mainland, with long summer daylight and maritime influences, which are Ideal conditions for long, slow and consistent fruit development. 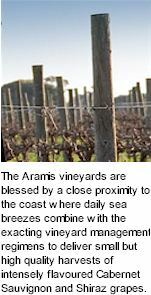 The House of Arras sources fruit from many outstanding vineyards in southern Tasmania and the south east coast. Century old Shiraz vines and the essence of Barossa Valley are an intrinsic part of who the Kalleske are. After six generations of vine growing and winemaking, they are proud to say that Barossa wine have run in their blood for over 175 years. But that's not all. The Kalleske style of viticulture evolved and their incredible vines evolved along with them. Alternative varietals such as Vermentino and Durif, Montepulciano, Graciano and a few other secrets emerged. 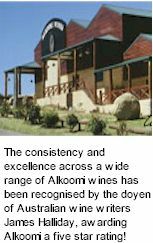 That's why they prepare their wines with minimal intervention, ensuring that the wine is at its absolute best when it reaches your table. Open top fermentation, always small batch, hand plunging and pumping, oak maturation and minimal filtering completely change how a wine tastes. 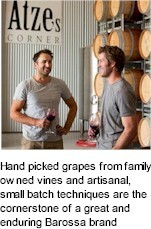 Savour Atze's Corner Wines and discover the flavours of Barossa Valley. You will fall in love just like they did. 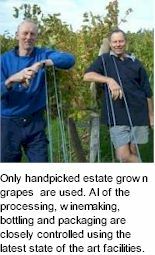 The Austins planted their first vines in the Barrabool Hills, southwest of Geelong, in the early 1980s. The soil they turned was the same worked by the pioneering Swiss more than a century before. During it's nineteenth century heyday, the Geelong region was recognised as producing some of the finest red wines made in Australia's first one hundred years. This was at a time when the Victorian wine industry out-produced the sum of the South Australian and New South wales industries by a factor of two. The area suffered badly in the second half of the nineteenth century when phylloxera (a grapevine pest) and bureaucracy combined to destroy the region. The Moorabool Valley re-emerged in the first days of the Victorian wine industry's renaissance, in the 1960s. 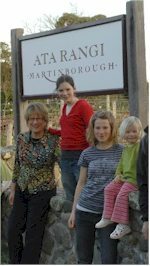 Recognition of that link has played a major part in the Austin family's affair with wine and the move to Sutherlands Creek.